The Barn Sale is located just over an hour from San Antonio and Austin, and about two hours west of Houston. 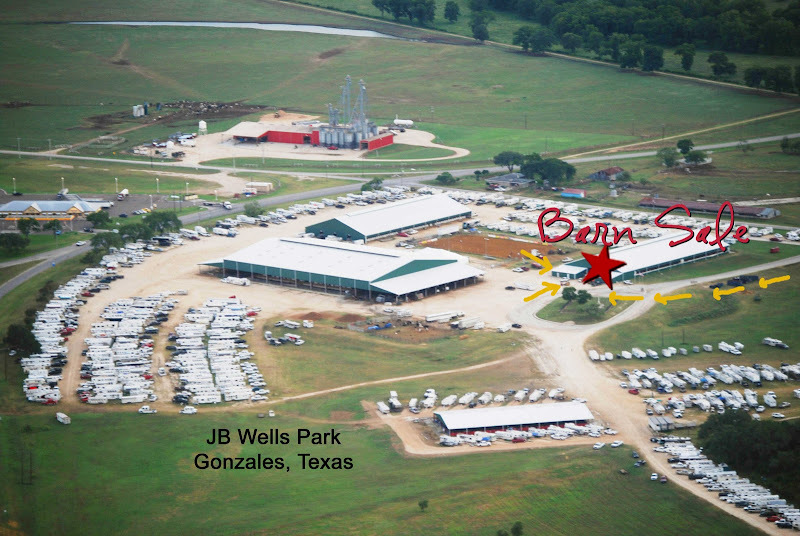 We are in the JB Wells Showbarn in Gonzales, TX. 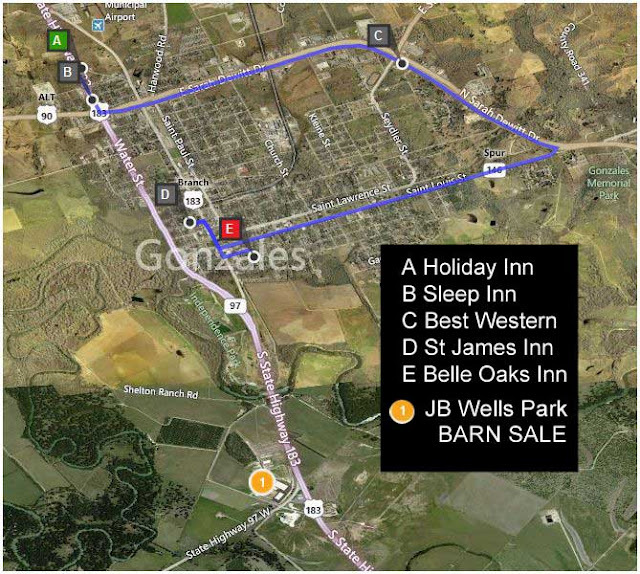 You can click on the map below to bring up the live map with links to hotels and the ability to zoom in to see the road leading into JB Wells Park. If you like words better than maps, then these are for YOU! . . .
take I-10 East toward Houston. Exit on 123 South in Seguin. Follow through about 3 lights to Hwy 90 toward Gonzales. Turn left (East) at Hwy 90. (You will pass a Whataburger just before this light). Follow Hwy 90 to Gonzales. This will take about 25 minutes. After crossing the San Marcos River there will be a 4 way intersection with a Buc-ees gas station on the opposite right corner. This is Hwy 90/183 S intersection. Turn Right at this light and follow 183 over the Guadalupe River. 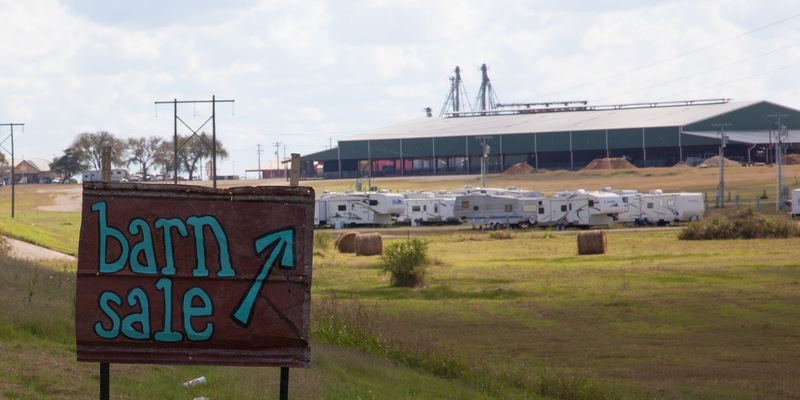 Just after crossing you will see a Large covered Rodeo Arena with green metal. This is the JB Wells complex. Take a right (road veers off to the right) and start slowing down- the road to the showgrounds will be on your right. Follow that road down about 1/2 mile and the entrance to the park is on your right- Cannot miss it. 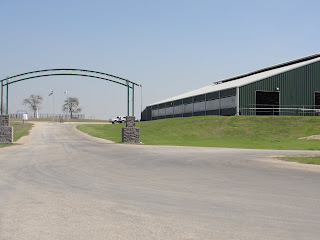 The show barn is the first large long barn you will drive by when you pull in! 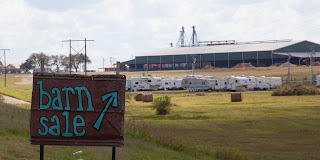 Take Hwy 183 South through Lockhart, and Luling. Follow south to Gonzales past Buc'ees gas station at I-10 and past Buc-ees gas station at intersection of Hwy 183/Hwy 90. Cross over Guadaulpe River and the park will be on the right- follow Hwy 97 to JB Wells Park entrance. The show barn is the first large long barn you will drive by when you pull in!